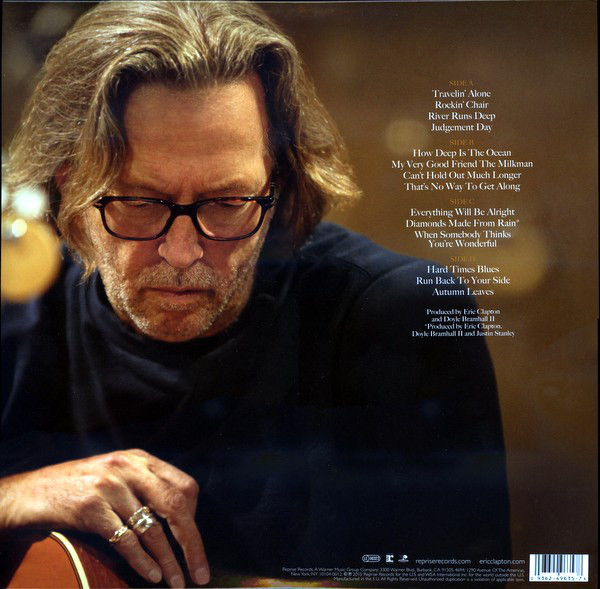 Eric Clapton attracted a reasonable amount of flak for this album, as indeed he does whenever he releases one in recent years. It was said to be too sleepy, too slow, too "old" , too unadventurous. Maybe, but there is an honest appeal to it. He doesn't need to court the charts, or popular opinion. 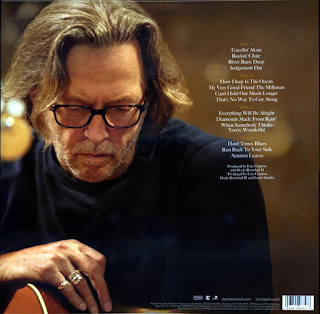 If he wants to do a relaxed, nostalgic album suitable for a man approaching his seventies, then he will. Good luck to him. It is a simple but mightily impressive record of largely covers, but nobody knows how to cover this material better than Clapton. He is laying back and enjoying what he is playing, just like Van Morrison also does. Fair play to both of them. Sure, you know what you're going to get, but if you like it, where is the problem? "Travelin' Alone" is an excellent, slow-burning bluesy opener, with some great guitar and overall bluesy feel. "Rockin' Chair" is a laid-back, jazzy blues. It is full of authentic atmosphere. "River Runs Deep" is a top notch piece of Clapton laid-back blues. It sounds a lot like Mark Knopfler's post-2000 output. The relaxing, traditional, jazzy blues feel continues on the enjoyable "Judgement Day". "How Deep Is The Ocean" is beautiful - melodic, well-sung and infectiously sleepy. The musicianship, it must also be said, is superb throughout this album, as is the sound quality. "My Very Good Friend The Milkman" sees Clapton going all 1930's with some jazzy backing. Paul McCartney has also covered this and the music sounds like the stuff The Bryan Ferry Orchestra is offering up these days. I can't help but like it. 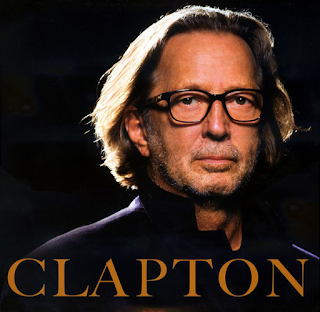 It has a great piano/brass interplay part where Clapton introduces the musicians. "Can't Hold Out Much Longer" is a proper blues. Quite what anyone would want to complain about here is beyond me. This is a lot more of a bluesy album than was popularly thought upon release. The shuffling, New Orleans-style blues of "That's No Way To Get Along" harks back to those mid-seventies Clapton albums like "461 Ocean Boulevard". It has some sumptuous, infectious guitar bits underpinning it. Good stuff. Check out that piano/bass/guitar bit at the end. Gorgeous. "Everything Will Be Alright" has a real bassy thump to it and a bit of a pop/rock feel too. It cooks at a level heat very successfully. I suppose many will find this sort of material boring, but if they do, what are they doing listening to it in the first place? Clapton has been like this for decades. "Diamonds Made From Rain" is a pretty "easy listening" it has to be said, but none the less attractive for it. "When Somebody Think You're Wonderful" is back to the 1930s again for some more singalong, crooning jazz. It still manages to get some excellent guitar into it though. "Hard Times Blues" is an acoustic and mandolin-driven blues, with that 1920s/30s depression era feel to it. "Run Back To Your Side" is a stonking, slide-guitar blues. "Autumn Leaves" is so Chris Rea it almost is him. For me, this has been an excellent album , with a mix of several styles and not deserving of criticism from people who liked what Clapton did with Cream. I liked that era too, but I also like this.